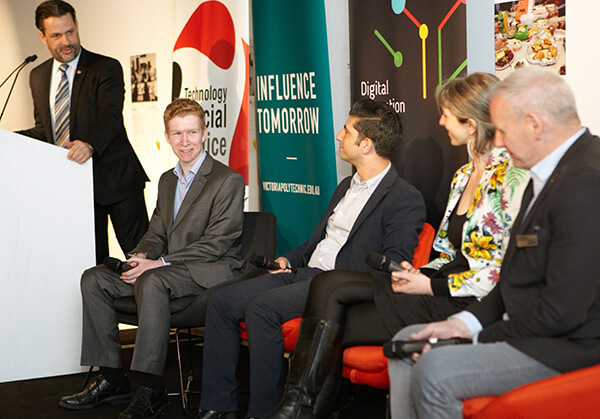 Infoxchange, Microsoft and Victoria Polytechnic have teamed up with Victorian businesses to support young people experiencing homelessness, mental health issues and those on the autism spectrum to build their digital technology careers. Funded by the Victorian Government and Microsoft, the $1.6 million Youth IT Careers program supports young people, who have struggled to find employment or remain in school, to complete training and a traineeship with a local business. 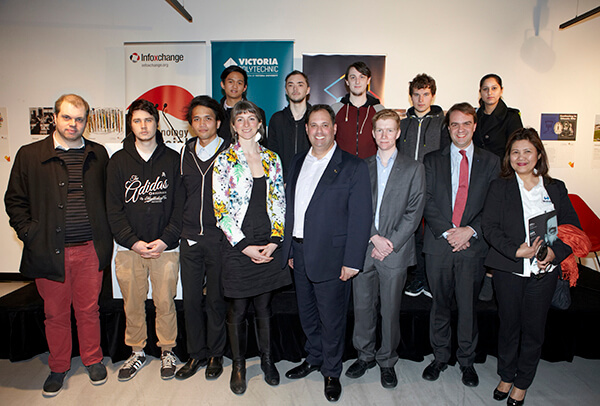 Minister for Small Business, Innovation and Trade, the Honourable Philip Dalidakis, joined past and present students, participating businesses and youth workers at Victoria Polytechnic today to celebrate the program as part of the Victorian Government’s Digital Innovation Festival. Infoxchange CEO, David Spriggs, says the program that was established with Microsoft is one of a kind. “Youth IT Careers has a unique delivery model, connecting training with real-life job experience while providing support outside the classroom to help our trainees overcome any obstacles,” David says. Vice President of Vocational Education at Victoria University, Grant Dreher, says the program enables Victoria Polytechnic to reach students they would never have been able to before. 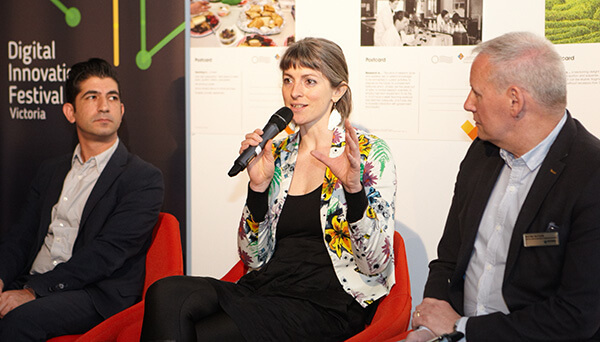 “Youth IT Careers shows what can be achieved when organisations effectively partner together, each contributing its unique expertise and passionate staff to deliver great outcomes for young people,” Grant says. Nick, a trainee in the program with local business BizData, says without Youth IT Careers he would still be struggling to find a job. “Youth IT Careers has given me a chance, unlike any other program that I have come into contact with. It has shown me that I can make something of myself despite not having had the best start in life,” he says. Businesses signed on to offer traineeships are from across the corporate, government and not-for-profit sectors, including BizData, Optus, Department of Health and Human Services and ACSO. 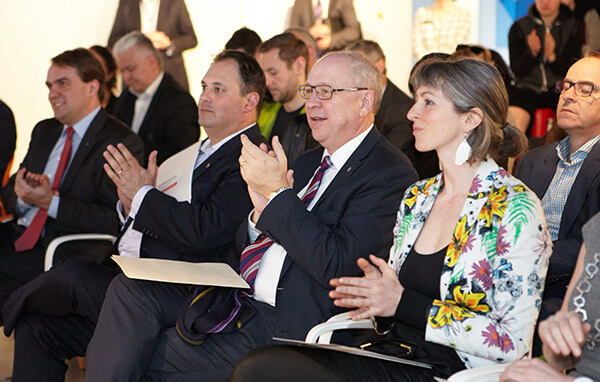 “Australia needs 100 000 more digital technology professionals by 2020 and we believe these opportunities should be open to young people from all walks of life,” David says. “Building on the success of the program over the past two years in Melbourne, Microsoft is delighted to see Youth IT Careers expand to provide opportunities for young people experiencing disadvantage in Sydney,” Anna Howarth, Philanthropies Manager for Microsoft Australia says. The Youth IT Careers program is funded by Microsoft and Victoria Polytechnic through the Victorian Government’s Back to Work scheme. Trainee Nick (left) talks about his experience of getting a traineeship with BizData. Program coordinator Emma Fawcett talks about the unique offerings of Youth IT Careers. 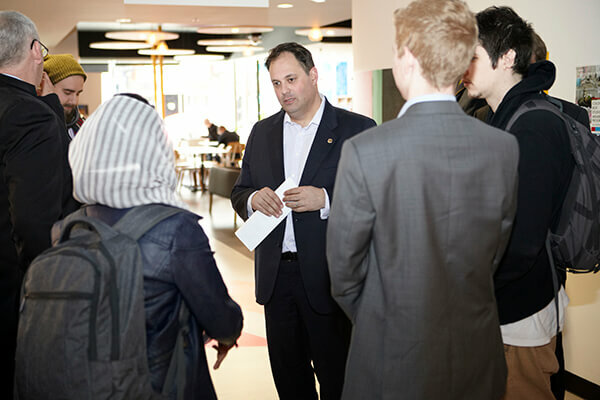 Minister Dalidakis talking with Youth IT Careers students. 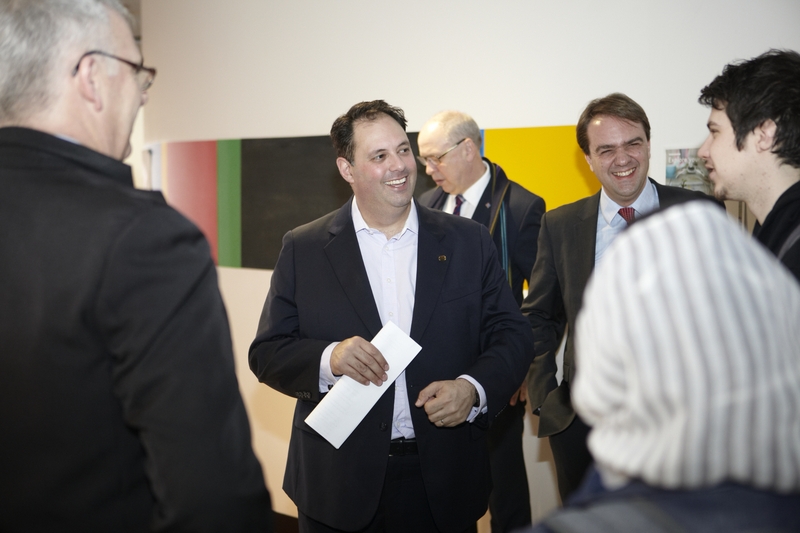 David Spriggs, Minister Dalidakis, Vice Chancellor Prof Peter Dawkins and Emma Fawcett. Minister Dalidakis with Youth IT Careers and Infoxchange staff.